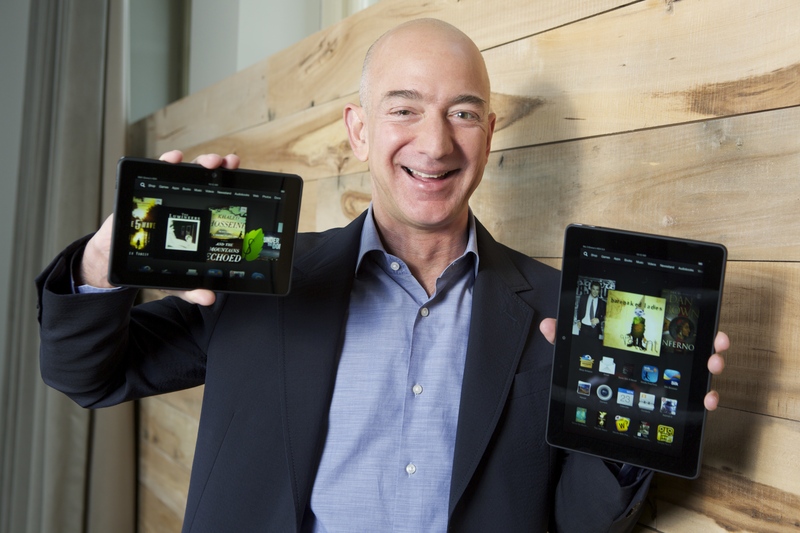 Jeff Bezos presses the “Mayday” button on one of Amazon’s new Kindle Fire HDX tablets. A few seconds later, a fresh-faced twentysomething named Dylan pops up in a small window on the tablet, offering live customer support. The Amazon CEO probably doesn’t need the help himself, but he’s betting that plenty of average customers do — both those new to technology and even those who are experienced, but don’t remember every setting on their device. 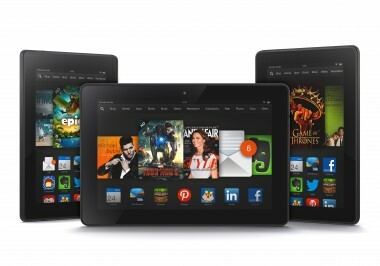 The free 24/7 help service is one of several new software features on the updated Kindle Fire tablets, which also boast higher-resolution screens and faster processors (the latest quad-core Snapdragon 800 chips from Qualcomm). A seven-inch version starts at $229, while the 8.9-inch Kindle HDX starts at $379. Both models can also have AT&T or Verizon wireless data access built in, for an extra $100. 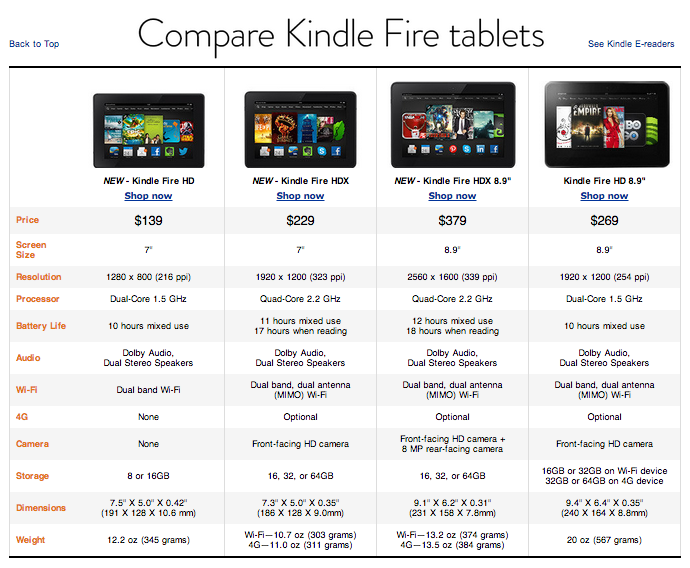 The 8.9-inch model is also a bit thinner, and a third lighter than last year’s large-screen Kindle Fire. Amazon will also sell an entry-level seven-inch HD model for $139. That version will start shipping Oct. 2, while the seven-inch HDX starts shipping Oct. 15, and the 8.9-inch model begins shipping Nov. 7. As for Mayday, Bezos said it is unclear just how much customers will use it, but said that Amazon has thousands of people in Kindle support already, and is prepared for the calls. In addition to the Mayday feature, the new Kindle Fire tablets are the first devices to support a new Amazon Prime feature that lets certain of the company’s streaming content library to be temporarily downloaded onto a device for offline viewing. (Users have 30 days to watch the videos they download, and 48 hours to finish, once they start watching.) Kindle Fire HDX owners can also fling a TV show from their tablet to certain Samsung TVs or other sets connected to a PlayStation. As with Google’s Chromecast, the shows are not being mirrored from the tablet, but rather streamed to the television from the Internet. That leaves the tablet free to do other things, such as explore Amazon’s second-screen content, powered by IMDb. And, with a touch of a button, users can pull the video back to their tablets. It is features like these and the Mayday help system that Bezos said Amazon is uniquely positioned to offer. Drawing two partially overlapping circles on a whiteboard, Bezos said that his company’s strength is the intersection between customer delight and deep hardware/software integration. “This intersection is where some of the hardest and coolest things can be built,” Bezos told AllThingsD. Bezos notes that, while built on Android, Amazon works at all levels, from the operating system through the apps and services, to deliver features that other device makers can’t match. It’s much the same pitch Apple makes, though Bezos adds that Amazon is unique in delivering premium tablets at non-premium prices. Amazon’s low-level work, Bezos said, is what paves the way for a battery-extending “reading mode” that offers 17 hours of use on a single charge, compared with the 11 hours Amazon said is achieved in standard mixed use of the device. As has become de rigueur for companies doing their own tablets, Amazon also has its own take on the kickstand case. Amazon’s is a magnetic case, called the Origami Cover for its ability to twist and fold into different shapes. With the 8.9-inch model, which has an eight-megapixel rear-facing camera, a slide down on the cover both reveals the lens and launches the camera app. It has worked pretty well so far for Amazon. Bezos said the company has sold “many, many millions of Kindles,” though, continuing with tradition, he wouldn’t give any specific sales numbers. “We just don’t see any upside in giving out the numbers,” Bezos said.